Already talking about spring is so weird because here in New England its cold and snowy. Walking into the stores all I see are shorts, tanks and bathing suits everywhere and I'm like "Its still 30 degrees outside!!" lol. 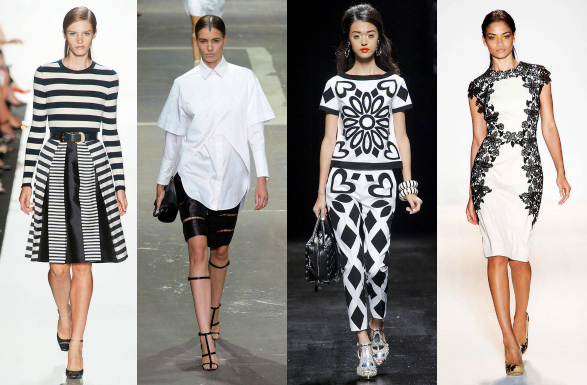 But this year's spring trend is black and white and its usually not what you think when you think of spring. When one thinks of spring they think of pop of colors, pastels and colorful prints. But Im actually excited about the black and white trend (not just because almost everything is my closet is black and white) but because it can be just as fun and flirty as colorful palettes. 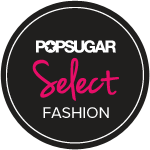 Every designer has showcased the bold black and white trend in their runway show from Marc Jacobs, Alice n Olivia and DKNY. You don't have to go black and white buck wild now, you can even add it to your outfit with a classic black and white sandal, to a statement necklace and you might luck out and have pieces in your closet to transfer into the spring season.